A unique Armenian film version of Bellini's operatic masterpiece of love and high drama set in Roman occupied Gaul. Starring leading Armenian singers, including international soprano Hasmik Papian as Norma, Mariinsky star Gegam Grigorian as her lover Pollione and mezzo-soprano Varduhi Kachatryan as Adalgisa. 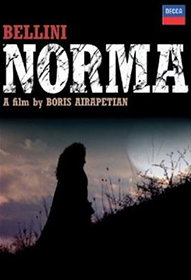 Directed by Boris Airapetian. Clemence Tilquin, Varduhi Khachatryan, David Hernandez Anfruns, Alexandra Hewson, Gabor Takacs-Nagy. AVETIS Swiss-Armenian Cultural Association Presents a collection of Ave Marias by different composers of different epochs: Franz Schubert, Wolfgang Amadeus Mozart, Johann Sebastian Bach/Charles Gounod, Georges Bizet, César Franck, Camille Saint-Saens, Giulio Caccini, Luigi Cherubini, Luigi Luzzi, Giuseppe Verdi, Pietro Mascagni and Armenuhi Karapetyan. 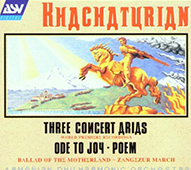 Ave Marias are performed by Varduhi Khachatryan, mezzo and Hayk Melikyan, piano. The CD was released in 2012. Varduhi Khachatryan's CD "Dedication to Komitas" with the accompaniment of pianist Hayk Melikyan has been released in Armenia. 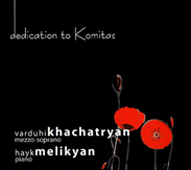 The CD includes a collection of works by Komitas. 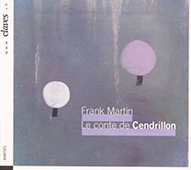 The CD was released in 2010. Main artist: Varduhi Khachatrian Armenian Philharmonic Orchestra Armenian Philharmonic Chorus Loris Tjeknavorian. Label: ASV, 2000 CD England . 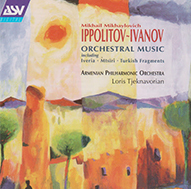 Main artist: Varduhi Khachatrian, Hasmik Hatsagortsian Armenian Philharmonic Orchestra Armenian Philharmonic Chorus Loris Tjeknavorian.